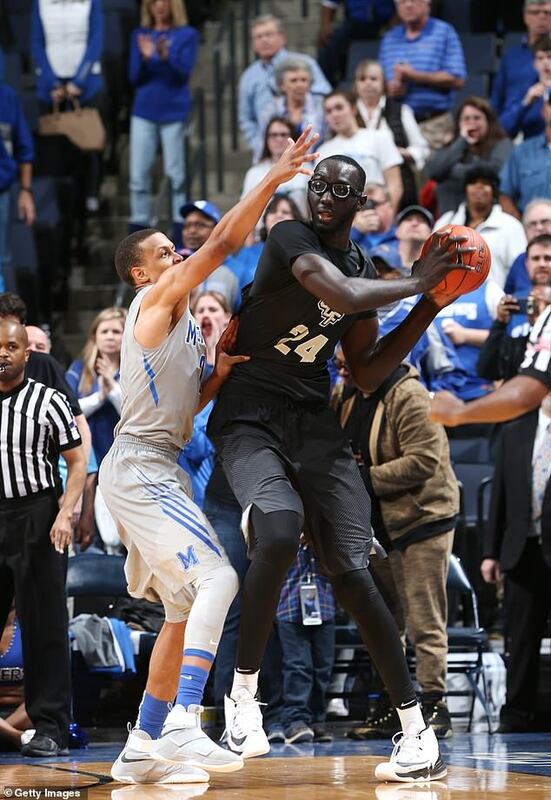 Fall, whose full name is Elhadji Tacko Sereigne Diop Fall, stands 7ft 6ins tall, making him the tallest man in college hoops. 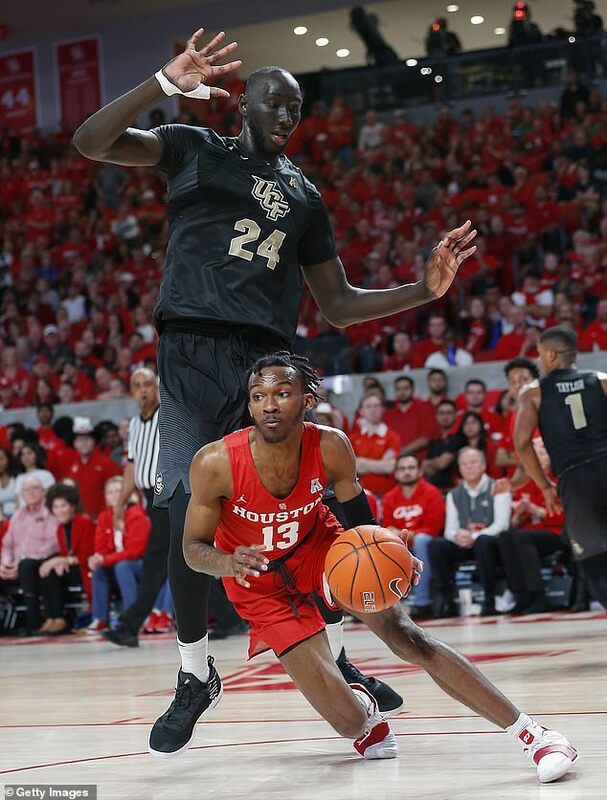 It just so happens that UCF is competing in March Madness, so photo ops have not been hard to come by with the 23-year-old who wears a size 22 shoe, and the results are hilarious. Fall was pictured next to CBS sports reporter Tracy Wolfson on Thursday, who says she is 5ft 6ins in her biography. 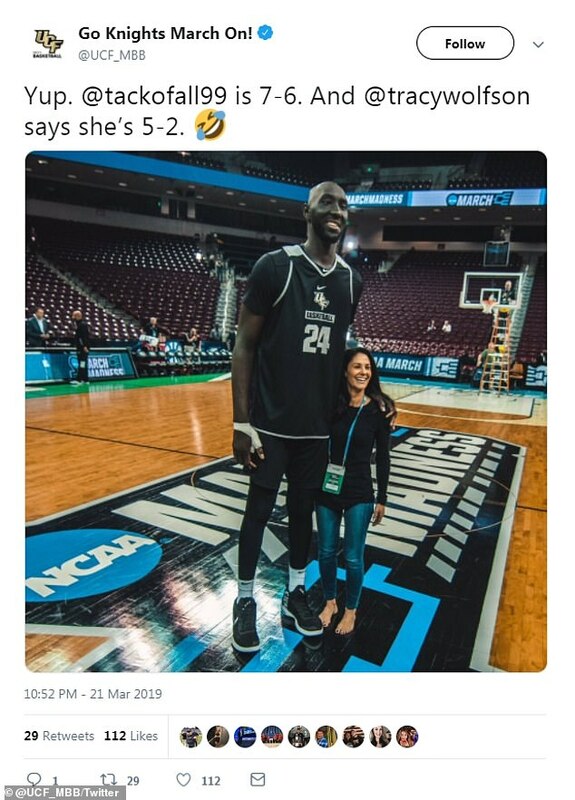 The student athlete towered over the journalist, which almost undoubtedly would lead to some pretty comical interviews, from a visual perspective. Seeing him board a plane is equally wild, like in a photo he tweeted on his way to go to work on Wednesday. 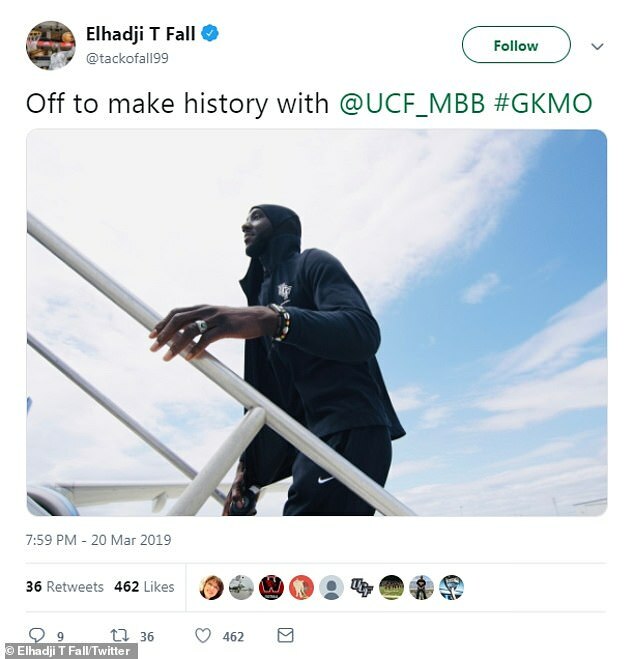 ‘Off to make history with @UCF_MBB #GKMO,’ he wrote with the image of him heading up the stairs to the plane, looking like a giant in the sky. 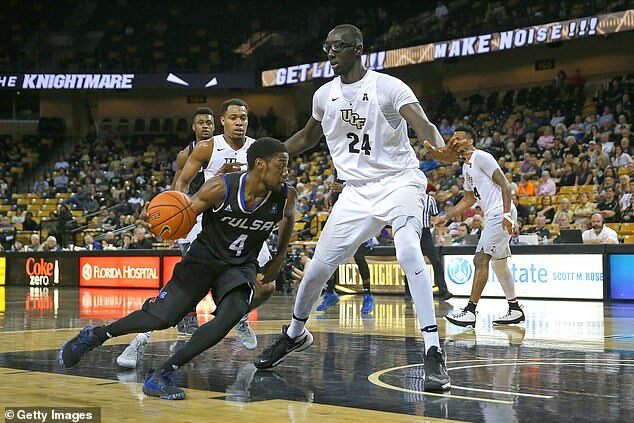 After originally despising the game of basketball as a child in Senegal, Fall eventually realized he was simply too tall to stay off the hardwood and now the Central Florida center is the center of attention in all of the hubbub of March Madness. Fall’s story is almost as unique as his size. 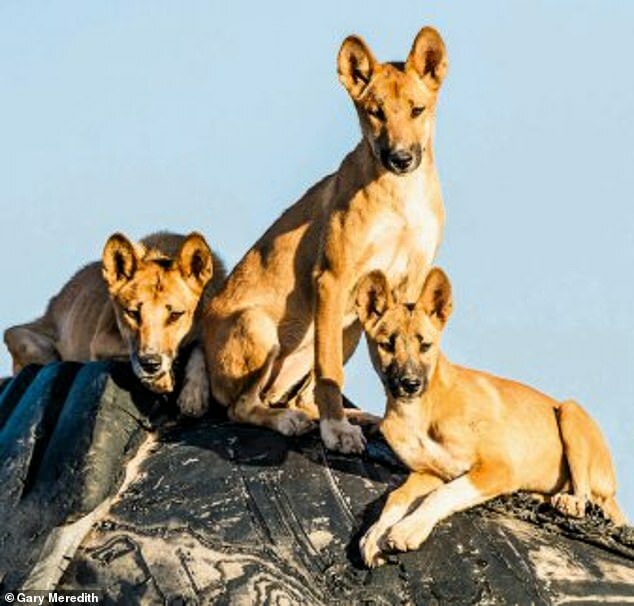 His family went through some very difficult times in Senegal. He often didn’t have enough to eat, to the point where he would have nothing for breakfast and then would try to ration his school lunch and preserve some to serve as dinner. Money was often tight. When Fall was 16, Ibrahima N’Diaye changed everything. 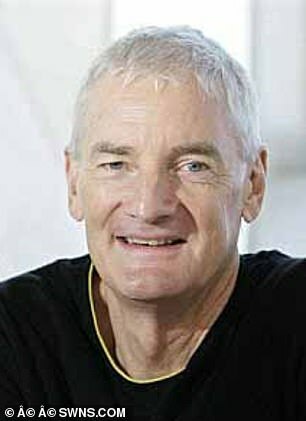 He ran a basketball academy and suggested to Fall that he try to play in the U.S. There was one small problem. Fall despised the game, but eventually came around thanks to his basketball-loving grandmother. He came to the U.S., first going to Houston and then bouncing around a bit before settling in Florida. He enrolled at Liberty Christian Prep – a place where the devout Muslim could have plenty of spirited, respectful, thought-provoking conversations with teachers and other students about religion. It was also a place where he realized basketball could provide a future. Fall might be an unusual star, but a star nonetheless. Walk with him around campus, and one of two things often happen – either fellow students yell his name and wave, or they try to act cool while sneaking a selfie. Fall doesn’t mind in either case. And yes, he’s heard every joke imaginable about his height and his name. ‘He’s very comfortable with who he is,’ said Dawkins, who played with seven-foot-seven Manute Bol and seven-foot-six Shawn Bradley in the NBA and tries to impart wisdom to Fall on what he learned from their experiences. Fall knows what they went through, but doesn’t want to be considered The Next Bol or The Next Bradley. 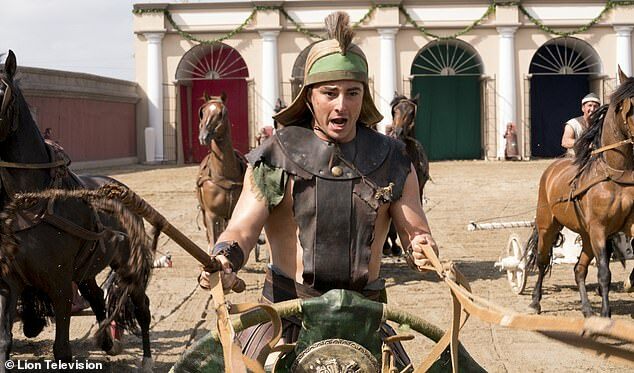 ‘I want to be the first me,’ he said in an interview from 2017. 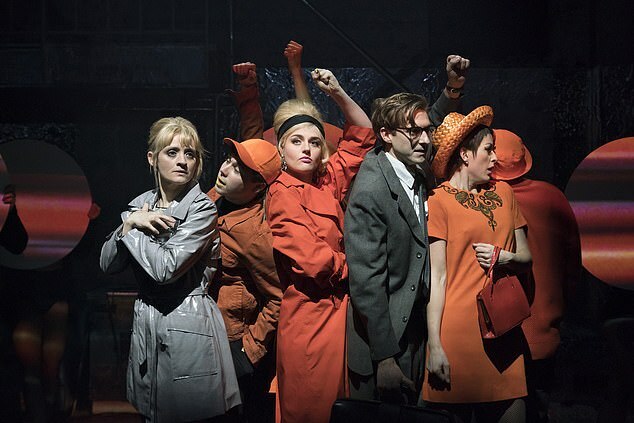 Fast forward to today, and he’s stealing the show doing just that. UCF faces off against the Virginia Commonwealth University Rams on Friday at 9.40pm Eastern, in round 1 of NCAA’s March Madness tournament. Has Prince Harry quit alcohol to support pregnant wife Meghan Markle?